Research centre for the Sir William Dunn School of Pathology (Make with Nightingale Assocs, 2011). 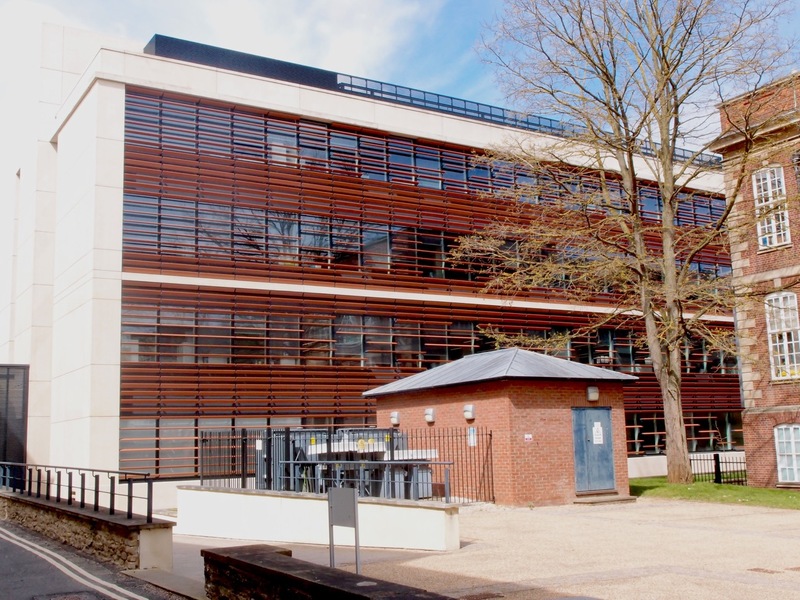 The second of five science laboratory buildings designed by the partnership between Make Architects and Nightingale Associates (now part of IBI group), OMPI sits behind the original Sir William Dunn building (E P Warren, 1926) on South Parks Road, and next to the EP Abraham Building (2001), replacing a modern block (Sir Leslie Martin, 1969). 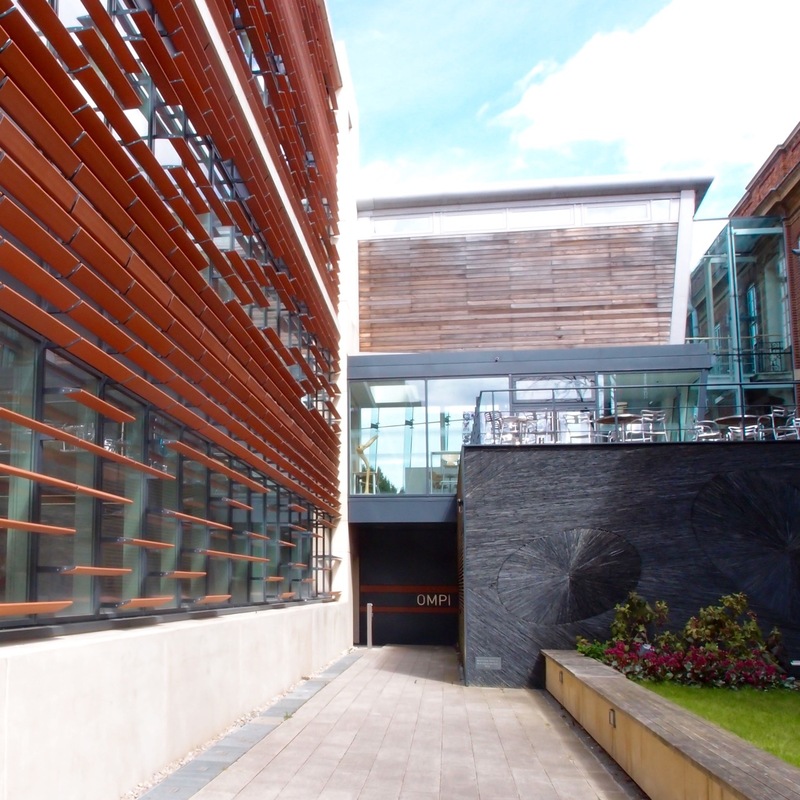 Coloured metal louvres reference the dark red brick of the original building, and a basement data centre with heat recycling helps the new laboratory to achieve a BREEAM Excellent rating. As with most contemporary research buildings, the design set out to bring disparate groups together in one place, and to facilitate encounters and interaction between them, showing how the social aspects of scientific research have become more prominent.